219. LEKKAS, E., MINOS – MINOPOULOS, D., STEFANIDOU, E. (2010). LEKKAS, E., MINOS - MINOPOULOS, D., STEFANIDOU, E. (2010). - Emergency Planning for the Municipality of Kos, Kos Island, Greece. International Association for Engineering Geology, 11th IAEG Congress, paper ID No. 146, p. 1251-1256, Auckland. 220. MAVROULIS, S., FOUNTOULIS, I., LEKKAS, E. (2010). MAVROULIS, S., FOUNTOULIS, I., LEKKAS, E. (2010). - Primary and secondary environmental effects caused by the Andravida (08-06-2008, ML=6.5, NW Peloponnese, Greece) earthquake. International Association for Engineering Geology, 11th IAEG Congress, paper ID No. 054, p. 451-459, Auckland. 221. PAPANIKOLAOU, I., LEKKAS, E., FOUNTOULIS, I., PARCHARIDIS, Is., FOUMELIS, M. (2010). PAPANIKOLAOU, I., LEKKAS, E., FOUNTOULIS, I., PARCHARIDIS, Is., FOUMELIS, M. (2010). 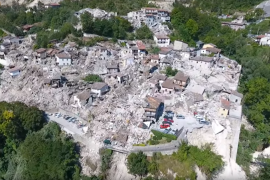 - Damage pattern, bedrock geology and surface ruptures of the 2009 L' Aquila event and implications for seismic hazard planning. International Association for Engineering Geology, 11th IAEG Congress, paper ID No. 068, p. 579-586, Auckland. PAPANIKOLAOU, I.D., LEKKAS, E., ROBERTS, G., McGUIRE, B., FOUNTOULIS, I., PARCHARIDIS, I., FOUMELIS, M. (2010). 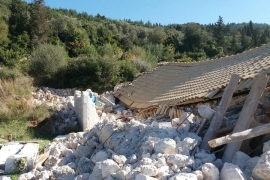 - The 2009 L'aquila Earthquake: Findings αnd Implications. Event Science Report 02, Aon Benfield UCL Hazard Reasearch Centre. LEKKAS, E. (2010). - Macroseismicity and Geological Effects of the Wenchuan Earthquake (Ms 8.0R - 12 May 2008), Sichuan, China: Macro-Distribution and Comparison of EMS1998 and ESI2007 Intensities. Bulletin of the Geological Society of Greece, 12th International Congress of the Geological Society of Greece, XLIII, No3, 1361-1372, Patras. LEKKAS, E. (2010). - The 12 May 2008 Mw=7.9 Wenchuan Earthquake, China. Macroseismic Intensity Assessment Using the EMS1998 and ESI2007 Scales and their Correlation with the Geological Structure. Bulletin of the Seismological Society of America, Vol. 100, No. 5B, pp. 2791-2804, November 2010, doi: 10.1785/0120090244. PAPANIKOLAOU, I., LEKKAS, E., FOUNTOULIS, I., FOUMELIS, M., PARCHARIDIS, I. (2010). – Fault geometry, surface ruptures, damage pattern and deformation field of the 2009 L' Aquila earthquake. Findings and implications. 11th Congress of the Carpathian Balkan Geological Association (CBGA), abs, Thessaloniki. ΛΕΚΚΑΣ, Ε., ΓΟΥΛΙΩΤΗΣ, Λ. (2010). – Δελφοί: Ένα μοναδικό μνημείο σε ένα ενεργό γεωδυναμικό περιβάλλον. 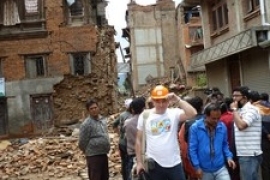 Training Course “Seismic Risk Assessment in Specific Areas with Monumental Structures”. Οργανισμός Αντισεισμικού Σχεδιασμού & Προστασίας (ΟΑΣΠ), Ευρωπαϊκό Κέντρο Πρόληψης & Πρόγνωσης των Σεισμών (ΕΚΠΠΣ), Αθήνα. LEKKAS, E., ANDREADAKIS, E., KOSTAKI, I., KAPOURANI, E. (2011). – Critical Factors for Run-up and Impact of the Tohoku Earthquake Tsunami (Japan, 11-3-2011). International Journal of Geosciences, 2011-2, pp. 310-317, Scientific Research Publishing, California. LEKKAS, E., ANDREADAKIS, E., ALEXOUDI, V., KAPOURANI, E., KOSTAKI, I. (2011). – The Mw=9.0 Tohoku Japan Earthquake (March 11, 2011) Tsunami Impact on Structures and Infrastructure. Environmental Geosciences and Engineering Survey for Territory Protection and Population Safety (EngeoPro) International conference, pp. 97-103, Moscow. ANDREADAKIS, E., KOSTAKI, I., KAPOURANI, E., LEKKAS, E. (2011). – Tohoku 11-3-11: A Mega-NaTech. Environmental Geosciences and Engineering Survey for Territory Protection and Population Safety (EngeoPro) International conference, pp. 46-53, Moscow. CARYDIS, P., LEKKAS, E. (2011). – The Haiti Earthquake Mw = 7.0 of January 12th 2010: structural and geotechnical engineering field observations, near-field ground motion estimation and interpretation of the damage to buildings and infrastructure in the Port-au-Prince area. Ingegneria Sismica, XXVIII, N.3, pp. 67-85, (July-Sept 2011), Pavia. DIAKAKIS, M., FOUMELIS, M., GOULIOTIS, L., LEKKAS, E. (2011). – Preliminary flood hazard and risk assessment in Western Athens metropolitan area. Environmental Earth Sciences, Advances in the Research of Aquatic Environment (eds. Lambrakis, N., Stournaras, G., Katsanou, K.), Vol.1 pp. 147-154, Springer, New York. ΓΚΑΝΑΣ, A., ΛΕΚΚΑΣ, E., ΧΟΥΛΙΑΡΑΣ, Γ., ΜΟΣΧΟΥ, Α., ΚΟΛΛΙΓΡΗ, Μ., ΑΓΑΛΟΣ, Α., ΜΑΚΡΟΠΟΥΛΟΣ, Κ. (2011). – Η σεισμική ακολουθία του 2011 στην περιοχή της Οιχαλίας (Άνω Μεσσηνία) και τα χαρακτηριστικά του σεισμικού ρήγματος. 1η Ετήσια Επιστημονική Συνεδρία ΕΓΕ, Αθήνα. CARYDIS, P., LEKKAS, E., PAPAIOANNOU, C., TSOKOS, A.,DELAKOURIDIS, J. (2012). 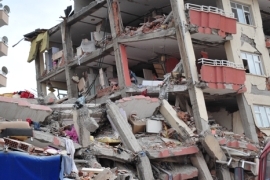 – The October 23 (Mw = 7.2) and November 9 (Mw = 5.7), 2011 Van, Turkey earthquakes. A geoscientific and engineering report. Ingegneria Sismica, XXIX, N.1, pp. 13-36, (Jan. – Mar. 2012), Pavia. LEKKAS, E., ANDREADAKIS, E., KOSTAKI, I., KAPOURANI, E. (2012). – A New Tsunami Intensity Scale Proposed after the Tsunami of 11 March 2011, Japan. One Year after 2011 Great East Japan Earthquake - International Symposium on Engineering - Lessons Learned from the Giant Earthquake, 483-491, Tokyo. MINOS-MINOPOULOS, D., PAVLOPOULOS, K., DOMINEY-HOWES, D. & LEKKAS, E. (2012). – Civil Protection reforms and policies: The need for optimal implementation by the Ministry of Culture and Tourism for Cultural Heritage Protection. TSIMI, C., GANAS, A., DIMOYIANNIS, D., VALMIS, S., LEKKAS, E. (2012). – Catchment-wide estimate of single storm interrill soil erosion using an aggregate instability index: a model based on geographic information systems. Natural Hazards, 62:863–875, Springer, New York. ΛΕΚΚΑΣ, Ε., ΑΝΔΡΕΑΔΑΚΗΣ, Ε., ΚΩΣΤΑΚΗ, Ε., ΚΑΠΟΥΡΑΝΗ, Ε. (2012). - Μεγάλης κλίμακας Φυσικές Καταστροφές & Περιβαλλοντικές Επιπτώσεις - Η εποχή των NaTech. 1ο Περιβαλλοντικό Συνέδριο Θεσσαλίας, 353-362, Σκιάθος. 238. LEKKAS, E., ANDREADAKIS, E., KOSTAKI, I., KAPOURANI, E. (2012). LEKKAS, E., ANDREADAKIS, E., KOSTAKI, I., KAPOURANI, E. (2012). - A New Tsunami Intensity Scale proposed after the Tsunamis of 11 Mar. 2011, Japan & 26 Dec. 2004, Indian Ocean. 15th World Conference on Earthquake Engineering (15WCEE), Paper No. 0346, Lisbon. CARYDIS, P., LEKKAS, E., KRITIKOS, TH. (2012). 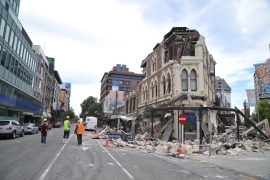 - The Mw 7.1 Sept 4 2010 and Mw 6.3 Febr 22 2011, New Zealand Eqs. Comparison of EMS1998 and ESI2007 Data. 15th World Conference on Earthquake Engineering (15WCEE), Paper No. 0190, Lisbon. ANDREADAKIS, E., KOSTAKI, I., KAPOURANI, E., LEKKAS, E. (2012). - Tohoku 11-3-11: A Mega-NaTech. 15th World Conference on Earthquake Engineering (15WCEE), Paper No. 4040, Lisbon. LEKKAS, E., ANDREADAKIS, E., ALEXOUDI, V., KAPOURANI, E., KOSTAKI, I. (2012). - The Mw=9.0 Tohoku Japan Earthquake (March 11, 2011) Tsunami Impact on Structures and Infrastructure. 15th World Conference on Earthquake Engineering (15WCEE), Paper No. 0106, Lisbon. CARYDIS, P., CASTIGLIONI, C., LEKKAS, E., KOSTAKI, I., LEBESIS, N., DREI, A. (2012). 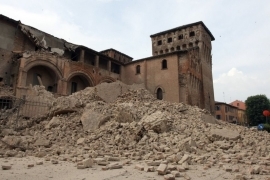 - The Emilia Romagna, May 2012 earthquake sequence. The influence of the vertical earthquake component and related geoscientific and engineering aspects. Ingegneria Sismica, XXIX, N.2-3, pp. 31-58, (April-Sept 2012), Pavia. ΛΕΚΚΑΣ, Ε. (2013). - Ο ρόλος της Διαπολιτισμικότητας στη διαχείριση Φυσικών Καταστροφών. Διεθνές Συνέδριο "Κρίσεις & Καταστροφές - Ψυχοκοινωνικές Επιπτώσεις", Abs, Αθήνα. LEKKAS, E., ANDREADAKIS, E., KOSTAKI, I., KAPOURANI, E. (2013). - A proposal for a new Integrated Tsunami Intensity Scale (ITIS-2012). Bulletin of the Seismological Society of America, Vol. 103, No. 2B, pp. 1493-1502, May 2013, doi: 10.1785/0120120099. MINOS-MINOPOULOS, D., PAVLOPOULOS, K., APOSTOLOPOULOS, G., DOMINEY-HOWES, D., LEKKAS, E. (2013). – Preliminary results of investigations of possible ground deformation structures in the early christian basilica, ancient Lechaion harbour, Corinth, Greece. 13th International Congress of the Geological Society of Greece, Chania, Crete. LEKKAS, E., ALEXOUDI, V., LIALIARIS, I. (2013). – Reduction of rockfall risk of the teleferik area of Santorini – Greece. 13th International Congress of the Geological Society of Greece, Chania, Crete. 247. PAPAZACHOS, G., PAPAZACHOS, C., LEKKAS, E., SKARLATOUDIS, A., KKALLAS, H. (2014). PAPAZACHOS, G., PAPAZACHOS, C., LEKKAS, E., SKARLATOUDIS, A., KKALLAS, H. (2014). – Modeling macroseismic information for historical earthquakes using stochastic simulation: The case of the 1954 Sofades (Central Greece) earthquake. 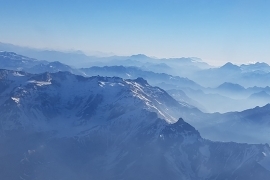 2nd European Conference on Earthquake Engineering and Seismology, pp. 25-29, Istanbul. KASSARAS, I., KAPETANIDIS, V., KARAKONSTANTIS, A., KOUSKOUNA, V., GANAS, A., CHOULIARAS, G., DRAKATOS, G., MOSHOU, A., MITROPOULOU, V., ARGYRAKIS, P., LEKKAS, E., MAKROPOULOS, K. (2014). – Constraints on the dynamics and spatio-temporal evolution of the 2011 Oichalia seismic swarm (SW Peloponnesus, Greece). Tectonophysics 614 (2014) 100-127, Elsevier.